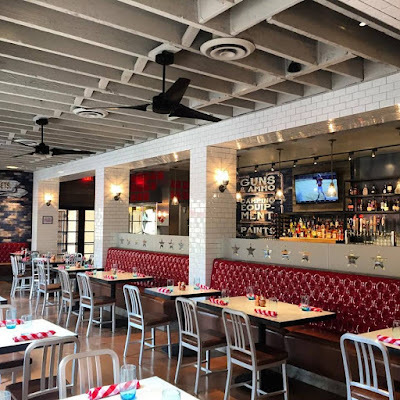 Block 16 Hospitality, the creative team behind Flour & Barley Brick Oven Pizza Las Vegas, will open its second location of the concept in the former Pizzeria Mozza space at The Headquarters at Seaport Village on Monday, March 14. 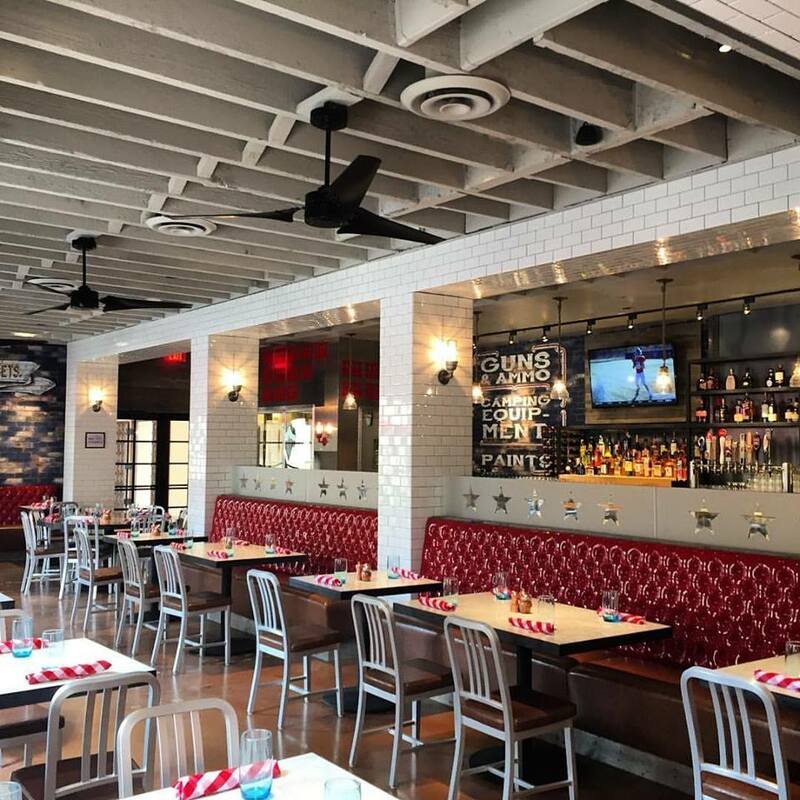 Flour & Barley San Diego will be open for lunch and dinner, bringing a selection of brick oven pizzas, entrees and more to the historic, waterfront complex. 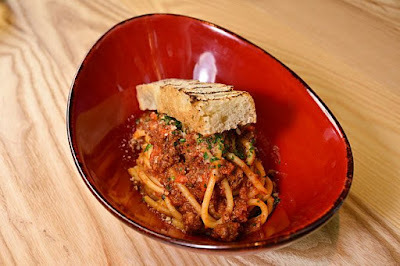 Following the opening of the restaurant’s flagship location in Las Vegas’ at The LINQ Promenade in March 2014, the San Diego menu will feature a variety of traditional pizzeria favorites and creative takes on classic dishes alike, including meatballs served “Grandma-Style” and made with veal and pork, with tomato sauce and fresh Parmesan; roasted octopus served with pepperonata, olives and cherry tomatoes; and pork belly carbonara with fettuccine, pancetta, green peas and topped with a cream sauce, poached egg and fresh Romano cheese. Executive Chef Anthony Meidenbauer will lead menu development and direction for the new restaurant, and Juan Carlos “J.C.” Colón will helm the kitchen as chef de cuisine. Colón, formerly of Searsucker Del Mar and Leroy's Kitchen before that, will bring nearly a decade of experience and culinary creativity to his role at Flour & Barley. 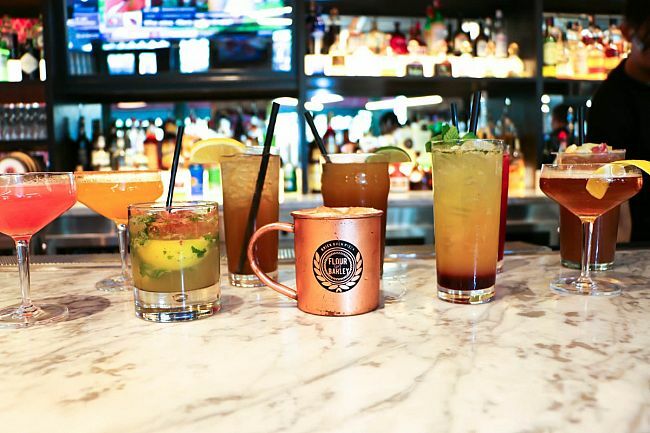 “We couldn’t be happier have the opportunity to open Flour & Barley in San Diego - one of our favorite cities for beer, food and culture - and look forward to bringing great pizza, home-style entrées and the best of San Diego beer to The Headquarters at Seaport,” said Block 16 Hospitality Executive Chef Anthony Meidenbauer. Beyond pizzas, entrees, appetizers and salads, Flour & Barley San Diego will offer a selection of hand-crafted cocktails and a quintessentially “San Diego” list of more than 150 beers served up on draft, in bottles and cans, with a spotlight in San Diego’s top brewers including Ballast Point, Green Flash, St. Archer, Stone Brewing Co. and more, many of which will be served from the restaurant’s custom beer cooler. The decor of Flour & Barley will draw from traditional pizzeria staples, accented with some of San Diego’s most prized collectibles to pay tribute to the city’s rich, naval history. Conceptualized by James Gundy of 1027 Design Management, the restaurant will feature exposed brick walls clad with metal rivets reminiscent of World War II aircraft carriers, as well as lighting elements salvaged from decommissioned war ships. The 3,800-square-foot pizzeria’s signature design elements include ovens covered in Ferrari-red scalloped tiles with signature copper hoods; white subway tiles accenting the dining room, and reclaimed wood tables made from 100-year-old doors. The restaurant also boasts an additional 1,000-square-foot patio, dotted with chairs each made from 111 recycled Coca-Cola bottles, plus a semi-private dining space for up to 12 guests, with full restaurant seating for 150 guests in total. For more information on Flour & Barley San Diego, visit flourandbarley.com.